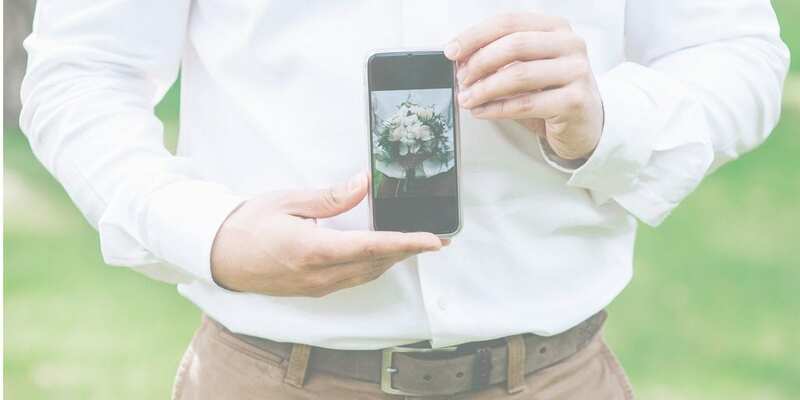 Ready to pump up your wedding and event business by creating more connections and drumming up more interest on social media? Good for you! Your first stop is obvious, according to Alicia Schwede of Bella Fiori Designs in Seattle, Washington, and the Flirty Fleurs blog. “Right now, it’s all about Instagram,” said Schwede, a presenter in January during the Florabundance Inspirational Design Days event in Santa Barbara. At the event, Schwede talked about some of her favorite social tips, including how to use Instagram Stories, which can be a good way to invite your followers behind the scenes. Unlike standard posts, Stories disappear after 24 hours, unless you add them to your Highlights — curated clips that you can group together and label with icons that appear front and center on your Instagram profile. They function like little movie trailers that tell potential customers about different aspects of what you do. Schwede also shared her favorite Instagram apps, designed to make the process easier and more efficient. At the top of her list is Later.com, which allows you to create and schedule a month of posts in advance. You can review all of the posts at once, checking for the rhythm established over the month and that they’re not too repetitive. Then Later gives you a daily push notification so you can review each image and caption once more before posting it. If you type in an idea for a hashtag, the Later app will offer suggestions for related hashtags, ranked in popularity. Pick the ones that are in the middle, Schwede suggested. They will be seen by fewer people, but they won’t drop as quickly from the feed. The app has an option that will allow you to review which posts were the most popular. Get more tips from Schwede in the March issue of Floral Management.